The Trail Blazers go into Thursday night's home contest with the Charlotte Hornets down a player. 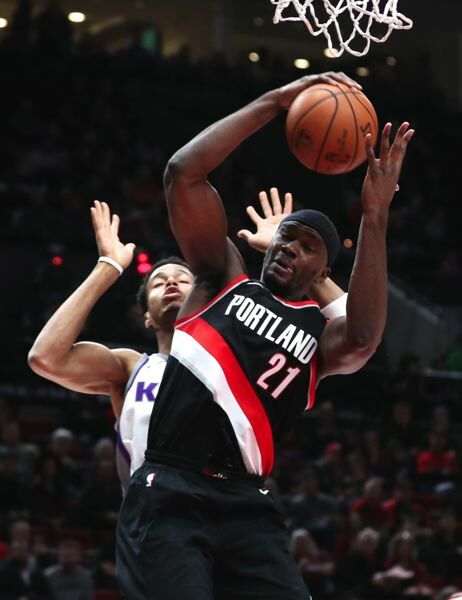 As first reported by ESPN's Adrian Wojnarowski, Portland has traded power forward Noah Vonleh to Chicago for the rights to Milocan Rakovic, plus cash. The Blazers made the move to drop their total payroll — which was about $121.5 million — under the luxury tax threshold of $119.3 million. Vonleh was making $3.5 million this season. According to ESPN's Bobby Marks, the Blazers are now projected to receive a luxury tax reimbursement of $2 million from the four teams over the threshold. Before the trade, the Blazers were in line for a $4.3 million penalty. But the Blazers likely sent about $1.2 million to the Bulls to cover Vonleh's pro-rated contract for the rest of this season. The 6-9, 250-pound Vonleh, 22, is averaging 3.6 points and 5.1 rebounds this season. But the third-year pro was removed from coach Terry Stotts' rotation in mid-December and has played sparingly since. In the 28 games since, he has scored 27 points and had four DNP/CDs (did not play/coach's decision). Rakovic, who turns 33 on Feb. 19, will never be signed by the Blazers. The last pick of the 2007 NBA draft, the 6-10 Serbian has never played in the NBA and currently plays in Switzerland.